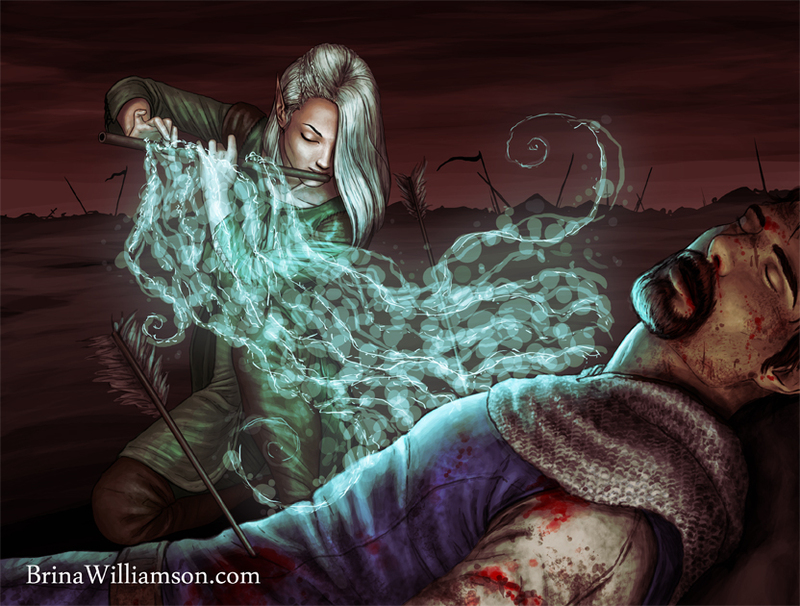 For the penultimate entry in the Epic Fantasy Twelve Days of Christmas, I could think of nothing better for “Eleven Pipers Piping” than a musician acting as a magician and using her song to heal the wounds of a fallen soldier on a dark and dingy battlefield. We can only see one piper here, but I imagine there are several more (say, maybe ten more?) scattered across the field, healing the wounded with their songs. I’m also particularly pleased with the wear and tear evident on the soldier’s clothes and face.